Division Two of the Kerry County League. Listowel town is situated in the heart of North Kerry and nestled at College Cross between St. Michael's College and St. Michael's graveyard, lies Frank Sheehy Park home of Listowel Emmets. Listowel has a very long tradition of GAA involvement and achievement since June 1885 when Listowel GAA (The Feale Amateurs) was established as a GAA branch. In 1956 Emmets GAA Club was formed and in the following year the senior, intermediate and minor North Kerry League titles were won. In 1979 the Listowel Emmets GAA pitch next to St. Michael's College was closed for redevelopment and re-opened again in 1981 and was renamed in honour of Mr. Frank J. Sheehy who was appointed as Chairman to the County Board in 1953. 51 Appearances (20 Championship. 28 League. ) Also played 3 U21 games. 24 Appearances (3 Championship. 18 League. ) Also played 3 U21 games. 12 Appearances (6 Championship. 5 League.) Also played 1 U21 games. 8 Listowel Emmets players represented Kerry at U21 grade (2000-2011). 5 Listowel Emmets players represented Kerry at Minor grade (2000-2012). following officers: J. W. Keane was appointed President; M. Murphy, Vice-President; Richard Stack, Treasurer and M.
On Martin O'Sullivan's proposition T. Slattery was appointed chairman. and railings accepted ... tender £140. the first time in Kerry at Listowel on August 5th. Maurice McGrath re organises the Club in Listowel. Re-start of Town Leagues, Football, Hurling and Camogie. Tony McAuliffe wins All-Ireland Medal. Listowel beaten by Ballydonoghue in North Kerry League replay. Feale Rangers win County Championship. John Chute captains Kerry Minors on the same day but were defeated by Dublin in Minor Final. Minors defeated by St Brendan's in quarter final having defeated Kenmare District in 1st Round. Centenary Year of Listowel Football. Club History Launched. Vaughan, President of Munster Council and Mr. Frank King, Chairman Kerry County Board. 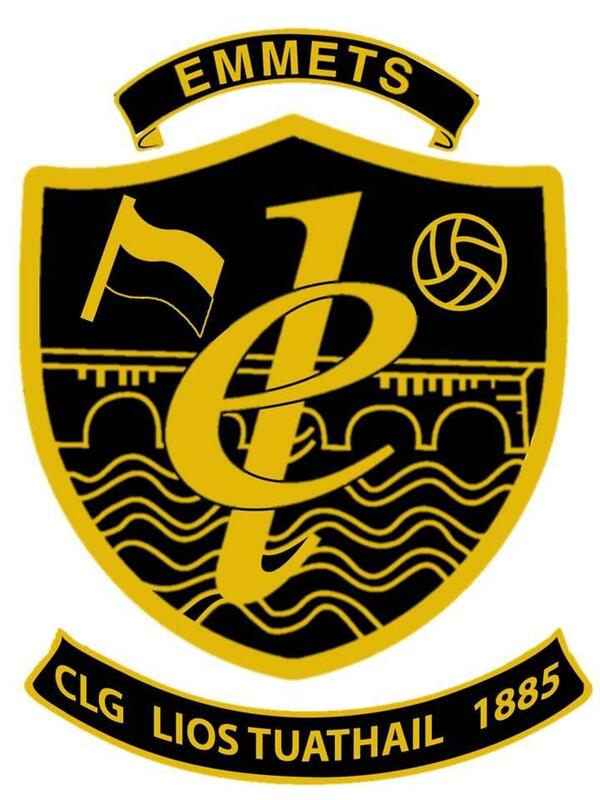 Emmets promoted to Division 2 County Senior League. Brian Scanlan Captains Kerry U-21 Team To All-Ireland Glory With Noel Kennelly also on the team. Listowel Emmets compete in Senior Co Championship beaten by An Gaeltacht in close game at Austin Stack Park. Brian Scanlan and Derek Galvin join the Kerry Junior Squad defeated in All Ireland Final. after a replay in Moyvane. Emmets Senior team retain their Division two County League status after a hard fought battle against Castlegregory. Emmets Minors defeated by Tarbert in final of the North Kerry League played in Ballylongford. Emmets U12s girls crowned County League Champions - Division two.